This includes titles such as Seven Samurai, Walkabout, Yojimbo, Rashomon, Wild Strawberries and Gomorrah. You could already sort your Instant Queue on http://feedfliks.com. 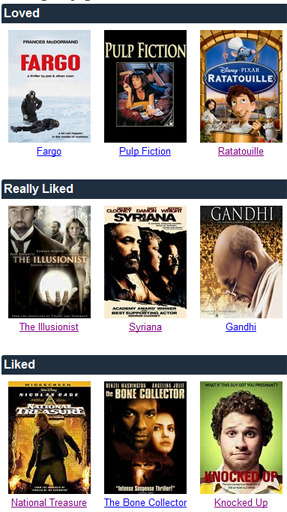 Now, you can sort your DVD Queue as well. We’ve also added two handy links – the ability to sort by Predicted Rating and the ability to see if any titles that were already in your Queue but not yet available on DVD have become available recently.